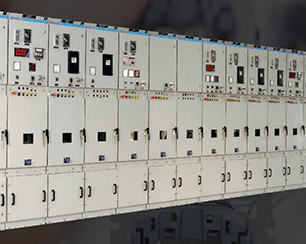 We are the most trusted and reckoned APFC panel India and LT panel Manufacturers in India offer exclusive range of products to our clients across country at very reasonable prices. With our reliable and eminent product range, we are able to satisfy large customer base in the global market. 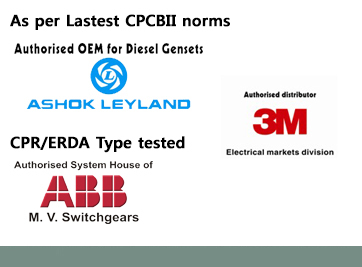 While manufacturing our products, we also focus on technical specifications like electrical load, power supply etc. to fulfill special requirements of power arena. Being APFC panel and LT panel manufacturers in India, we offer impeccable range of products that are manufactured as per standard quality guidelines and international manufacturing processes. With our continuous dedication and efforts, we are able to grab attention of most potential clients across country. We are known worldwide for our product APFC panel India excellence and we are proud to announce ourselves as most established LT Panel manufacturers. We promise optimum quality for all products we deliver to our client. With our nominal product range and deep domain knowledge, we are able to attract huge customer base worldwide. 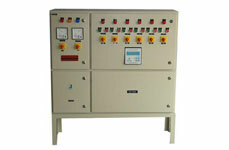 Our APFC panel India and LT panels are designed wisely to get maximum safety and high end durable products. This is the reason our products are checked repeatedly at various quality parameters to suit varied industry needs and demands. Through advanced techniques and reliable methodologies, we manufacture error-free panels that best suit national and international standards. 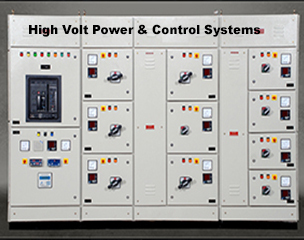 We are the best choice for eminent quality APFC Panels,LT panels and 11 KV-33 KV VCB Panel for we make customized panels that match international standards and are extremely reasonable in price. 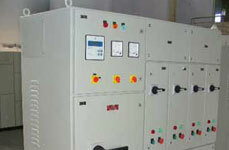 1) Our APFC and LT panels are based on modular design to assure smooth operations and working. 2) Our APFC and LT panels have power factor correction feature and they are also corrosion resistant that makes our products to maintain high power factor constantly. 3) Our products are available with minimum joints to assure maximum reliability and to avoid any mishappening. 4) Our panels are fire resistant too that enable them to withstand high temperature and pressure. 5) Our APFC panel India are even suitable to work with low power conditions and gives maximum protection against surge. 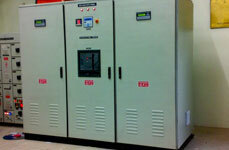 1) Highvolt LT Panels shall be proper for procedure at 415 + 6% volt, 50 Hz, 3 Phase, 4 wire + E system. it fabricated out of 2mm/1.6mm M.S Sheet and shall have modular construction. 2) It has a facility for cable entry from bottom or top as per your requirement. 3) LT Panel Wiring inside the switchgear come with 1100/650 volt grade, PVC insulated, Fire proof stranded conductor wire of adequate sizes. 4) This APFC and LT Panel come with minimum scope of conductor for power circuits will be 2.5 Sq. mm copper wire. 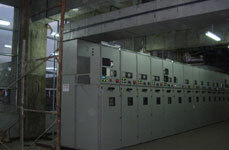 5) LT Panel’s Control circuits are covered with copper conductor of minimum 2.5 sq. mm for CT circuits and 1.5 Sq. mm for other circuits.